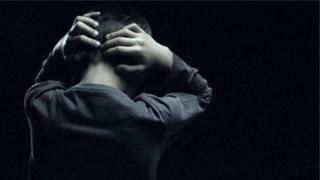 The suicide rate is three times higher among the poorest Scots, according to a new report by Samaritans. The charity is calling for more to be done to tackle inequality which it says is an important factor when it comes to people taking their own lives. The most recent figures show that almost 700 Scots took their own lives over a 12-month period. The Samaritans report highlights the role played by inequality. It said poor housing, debt and bleak employment prospects were all factors in the suicide rate being three times higher among the most deprived 10th of the population compared with the least deprived 10th (22.1 deaths per 100,000 population compared with 7.3). In 2015, 672 people took their own lives in Scotland. The report, "Dying from Inequality", highlights clear areas of risk to communities and individuals, including the closure and downsizing of businesses, those in manual, low-skilled employment, those facing unmanageable debt and those with poor housing conditions. Samaritans' chief executive Ruth Sutherland said: "Suicide is an inequality issue which we have known about for some time. This report says that's not right, it's not fair and it's got to change. "Most important of all is that for the first time this report sets out what needs to happen to save lives. "Addressing inequality would remove the barriers to help and support where it is needed most and reduce the need for it in the first place. "Government, public services, employers, service providers, communities, family and friends all have a role in making sure help and support are relevant and accessible when it matters most." James Jopling, executive director for Samaritans in Scotland, said: "Everyone can feel overwhelmed at times in their life. Those who are at risk of suicide are people that have employers, who seek help at job centres, go to their GP, people that come into contact with national and local government agencies, perhaps on a daily basis. "So in the light of this report we are asking key people and organisations from across society in Scotland to take action to make sure their service, their organisation, their community are doing all they can to promote mental health and prevent the tragedy of suicide. "Each suicide statistic is a person, with or without family, friends, community, colleagues. This report is a call for us as individuals to care more and for organisations that can make a difference, to do so." In Inverclyde, which has the highest suicide rate of any local authority in Scotland, the local Samaritans branch attend homeless lunches, providing support to the most vulnerable in the community who often have complex needs. Samaritans has already started addressing some of the inequalities driving people to suicide. It now plans to hold discussions with relevant agencies. Alison Watson, deputy director of Shelter Scotland, said: "All too often our services see people who have run out of hope as they cope with homelessness and the reasons behind it such as relationship breakdown, redundancy or low income. "In the long term we need a co-ordinated effort to end the shortage of affordable homes but right now we need to see targeted investment in the services which support people when they are at their most vulnerable. "With council budgets under pressure it is important that services for people who have lost their homes are protected as these are undoubtedly a lifeline for many." If you are feeling emotionally distressed and would like details of organisations which offer advice and support, go online to bbc.co.uk/actionline or you can call for free, at any time to hear recorded information 0800 066 066.